This Silafix container is a great container for Warehouses giving them an optimum view. | George Utz Ltd. This SILAFIX is the ideal container for the storage of small parts. With this container, you get an optimum overview in your warehouse - quick access to all products. 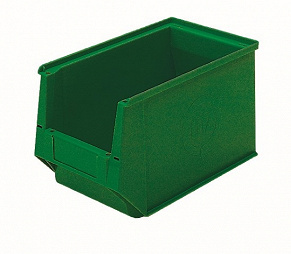 This storage bin plastic in green is available in the size 350/300x210x200mm.